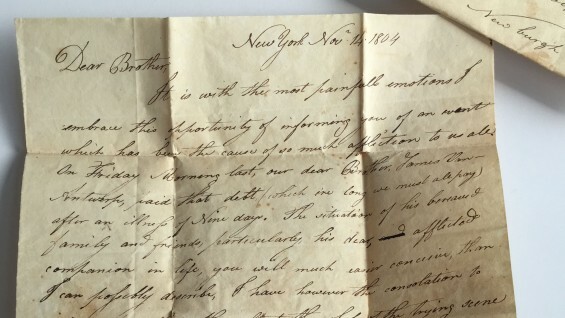 This month, The Cooper Union Archives acquired a large collection of letters, documents and artifacts that had belonged to Peter Cooper’s family. The collection was purchased thanks to generous donations from a group of alumni and professors. Until now, the Peter Cooper papers in the archives have consisted primarily of correspondence related to his inventions, the founding of Cooper Union, and honors and awards received, among other subjects. This addition to The Cooper Union’s collection gives an intimate portrait of the young Cooper’s family life. Although the collection does not explicitly contain letters to and from Peter Cooper, it does contain some letter fragments, as well as two authentic Peter Cooper signatures. “This acquisition is overwhelmingly exciting,” said Katie Blumenkrantz, archives librarian, who is in charge of analyzing and processing the 340 documents. After reviewing them, Blumenkrantz will create a finding aid for the use of visiting scholars. The collection came to the attention of Carol Salomon, Acting Library Director, in August when she received an email from Rob Morin, a partner in an antiques firm in northern Massachusetts. “The dealer seemed to feel that the collection belonged at Cooper—he really felt strongly about it.” He described it at length, and Salomon suspected that it would be an excellent addition to the archive. But the library had no budget for such acquisitions, and at $4,500, the cost was prohibitive. She reached out to key members of the Alumni Association and The Cooper Union History Project to ask if they had ideas for funding the purchase. Barry Drogin EE’83 stepped up to organize the effort, which was kicked off by a $500 donation from Professor Peter Buckley, which was then matched by Drogin. Soon other alumni contributed the same amount: Mike Borkowsky ME’61, Sean Cusack BSE’98, David Ellison, AR’83, Sangu Iyer, CE’99, John Leeper AR’85, James Liubicich ChE’83 and Carol Wolf (née Robinson) with Bill Wolf, both A’84. By the time Prof. Robert Topper made his $500 contribution, the cost of the collection had been raised. So he then offered to reimburse the Library for the cost of a trip the librarians took to the antique dealer’s shop to verify that the collection was a suitable purchase. Salomon was surprised and gratified by the group’s efforts. “I felt like Jimmy Stewart in ‘It’s a Wonderful Life,’” she said. After years of helping researchers in the archives, she found herself the recipient of the largesse of grateful alumni and professors who had turned to her for help, particularly during the tuition controversy. “They were researching the history of free education at Cooper, and especially looking for Peter Cooper’s thoughts and writings on the subject,” Salomon said. Having verified the value of these papers for the school, the two headed back to New York to report their findings to the alumni funders and work out the details of the purchase. Once back in Salomon’s car, Blumenkrantz had the sensation of having left something behind. “It really felt like something was missing since the collection so fits with our archive. I think of it as the companion to the Cooper-Hewitt Papers,” said Blumenkrantz, referring to a collection already in the archives made up of the letters of Peter Cooper and his son-in-law, Abram Hewitt. 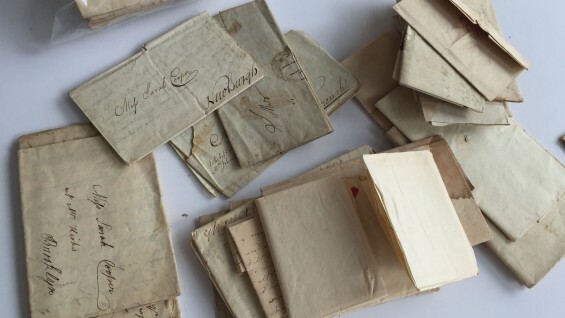 That collection sheds light on Cooper’s businesses and family life as an adult, while many of the letters in the new acquisition were written during his childhood and adolescence. Many of the letters were written by Cooper’s mother and sisters, and will almost certainly provide a picture of his early family life. 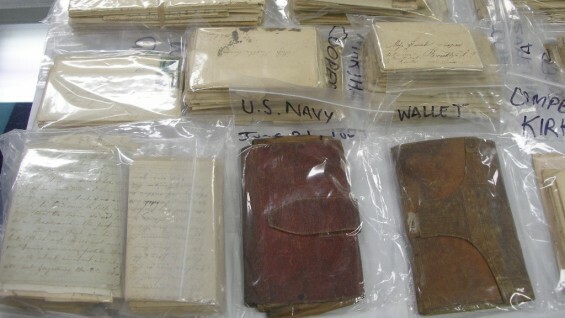 Although most of the letters are handwritten, some are printed form letters from the federal government, sent in response to claims made by the Coopers regarding a Revolutionary War pension. Up until now, historians have believed that the pension was owed to John Campbell, Peter Cooper’s grandfather, but the letters seem to suggest that the pension in question belonged to John Cooper (detail from portrait at right), Peter’s father. According to Drogin, this is just one example of the ways these letters can help clarify our knowledge of the Cooper family. Once the collection is analyzed, described and preserved in archival folders and ready for use, the Library is planning an exhibition of the documents. The donors who made this acquisition possible will be honored at the exhibition's opening reception.